Birds are passing overhead. They are like stars in motion, music in the sky. As always, they remind me of Nikki. Nikki was a friend of mine, and very dear to my heart. She had cerebral palsy, and to all the world she looked like one of God’s cruel jokes. She could not walk unaided. Her legs were useless sticks; her arms, helpless bird wings. When she talked her head lolled and spittle dripped down her chin. Her voice was a grating and unintelligible bray. More than once I saw parents in supermarkets turn their children away when they saw her coming. She was a reminder of their darkest fears about life gone terribly and irretrievably wrong. I used to love to talk to Nikki — not out of some twisted motive of self-congratulation, or because she was a dark mirror of my own good fortune, but because she was so full of life. She had a mischievous twinkle in her eye and a reservoir of joy that was deeper than anything I could imagine. Perhaps most astonishing to me was the quality of her dreams. Her days were spent in a “sheltered workshop” sitting at a long lunchroom table putting spatulas in plastic bags with her toes. But at night she wrote — holding a notebook with one foot and the pencil between the toes of the other — creating poems, visions, stories of birds in flight. And she wrote of love — poems to a nonexistent and unknown lover. “Someday I’m going to get married,” she told me. I smiled and nodded. But, like the parents in the supermarket, I averted my eyes. Gradually I lost touch with Nikki. Though she was often in my thoughts, our lives went separate ways. Then, by chance, a year later I saw her on the street in front of a store, sitting in her wheelchair. “Kent!” she called in her clumsy and halting voice. She was flapping her arms in excitement. As I approached she jabbed her hand toward me. I stared at the useless paw. On her ring finger was a gold band with a small diamond. She had met him at the workshop. He, too, had seen in her what I saw. They had courted for several months, and, himself misshapen, he had not been afraid of the limitations of her twisted and helpless body. They planned to marry in the spring. Sometimes, when I am engulfed in personal darkness, I see the image of Nikki’s face before me. She was, for me, the embodiment of all that is confusing, mysterious, and ultimately joyful about this adventure we call life. She could have been like so many of the others she worked with — embittered, angry, cursing the God that made them. And none would have blamed her, for the unfairness of her life was cause enough for bitterness and despair. But Nikki was not like the others. She would not give her heart to bitterness and despair. Instead, she set her heart on love, and in her hope she had called that love to her. So much is made these days about the power of intention, about how we can have what we want, how we can be what we want, how our lives can be perfect, if only we have the courage to visualize our dreams. But no amount of intention, no amount of visualization would have gotten that poor tragic body to walk. Those useless limbs, those atrophied muscles, those bent and brittle bones made mockery of any claims that right thinking and good intentions would have her rise from her chair and cross a room like you or me. Yet, it was the power of intention that brought Nikki to love. Had she not believed in love when all about her doubted, she would not have found that love. Nikki’s true gift was to know the shape her dreams could take, and to set her course towards them. She did not dream of walking — that would have taken a lightning bolt from the hand of God. And though she might secretly have wished for that, she could not build her life around that hope. But she could, and did, dream of love, and through her faith, that dream of love had become real. Like Nikki we must all learn to know the shape our dreams can take, and to set our course toward them. Make no mistake about it: the world is a dark and brutal place. Children starve for no reason. Madmen kill innocent people and run away laughing. Still, if someone like Nikki, whose body was a daily reminder of the tragedy and suffering and injustice in the world, could transcend the darkness and suffering to shape a world of dreams, and set a hopeful course toward them, who are we, the more fortunate, to do any less? There is no virtue in celebrating limitation. Nothing great is ever accomplished by people whose first thought is about the reasons why something might fail. Nothing good is ever made by those who make their lives a dark celebration of bitterness, no matter how justified that bitterness might be. Like Nikki, we must learn to direct our hearts to hope. Tragedy and suffering will still occur. Dreams will still remain unfulfilled. And though life, in all its richness, may not be ours to control, charting a hopeful course toward the shapes of our dreams is surely the best way to bring those dreams to pass. Nikki knew this, and lived it in her life. As I stood there, looking at that ring glistening on her finger, I thought of the times she had told me that she would one day get married, and the way that I had looked away, almost in shame, at the hopelessness of her dreams. I bent down close to her. “You know why birds fly?” she asked. Her voice was struggling, but her eyes had that twinkle. “No, tell me,” I said, unsure whether she was telling me something serious or passing along a joke. She burst out laughing — that harsh and grating sound — then she turned her wheelchair and set off down the street, flapping her elbows like a bird taking flight. I watched her wheel her way down to the corner. But just as she reached the turn, she held her hand up, and the ring caught the light of the afternoon sun. “I told you,” she yelled, then waved her hand once, and then was gone. Above me, the birds are winging southward. They, too, catch the glint of the afternoon sun. I stare at them as they pass, and wonder if perhaps the first bird flew because it dreamed of the sky. 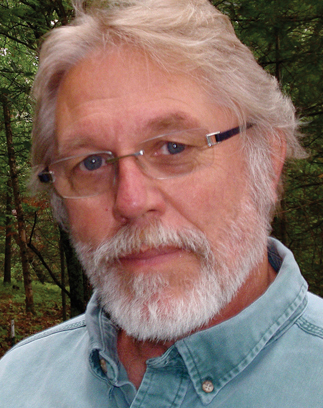 Kent Nerburn is the author of twelve books on spirituality and Native American themes, including Chief Joseph and the Flight of the Nez Perce (featured on the History Channel), Neither Wolf Nor Dog (1995 Minnesota Book of the Year Award), The Wolf at Twilight, Simple Truths, and Small Graces. He lives in northern Minnesota. Excerpted from the book, Small Graces: The Quiet Gifts of Everyday Life. © 1998 by Kent Nerburn. Reprinted with permission.